Historically, walls separating nations do not work as well as intended over the long term. Photo of Gaza/Israel boundary courtesy of the New York Times. Walls delineating boundaries between nations or barriers for defense have stood since the dawn of human history. Wall Street in Manhattan, for example, received its name because Dutch settlers erected a walled defense against the Native American tribes they had wronged with unprovoked genocidal type raids. If one wants to visit Christopher Columbus’s house in Genoa Italy, not far from it is the old city walls of Genoa, which is now surrounded by modern buildings. Everyone has heard of the Great Wall of China, the walls of Jericho and Troy, and the Berlin Wall. All of these barriers were created for either defense, to keep people out, or to keep people in. 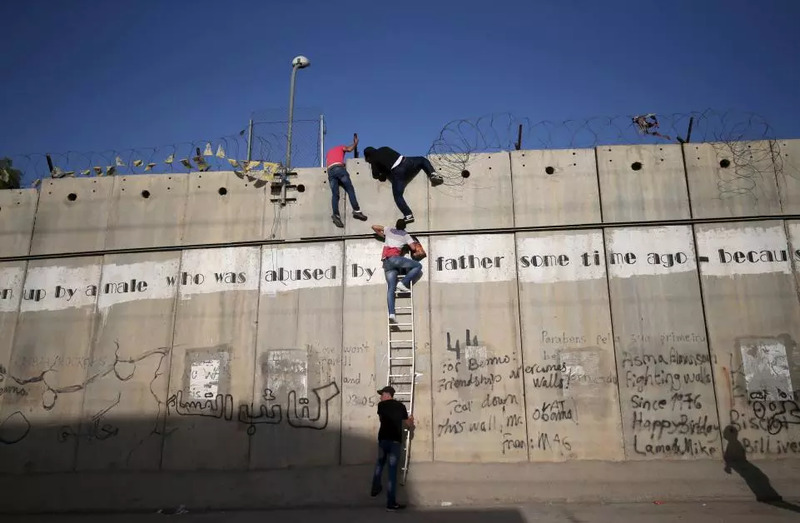 What does history tell us about these walls? It tells us that while walls may be necessary to preserve boundaries and prevent invasion, they are not foolproof and eventually doomed, thanks to human ingenuity, to failure. What are Walls Needed for? Walls. What are they used for? 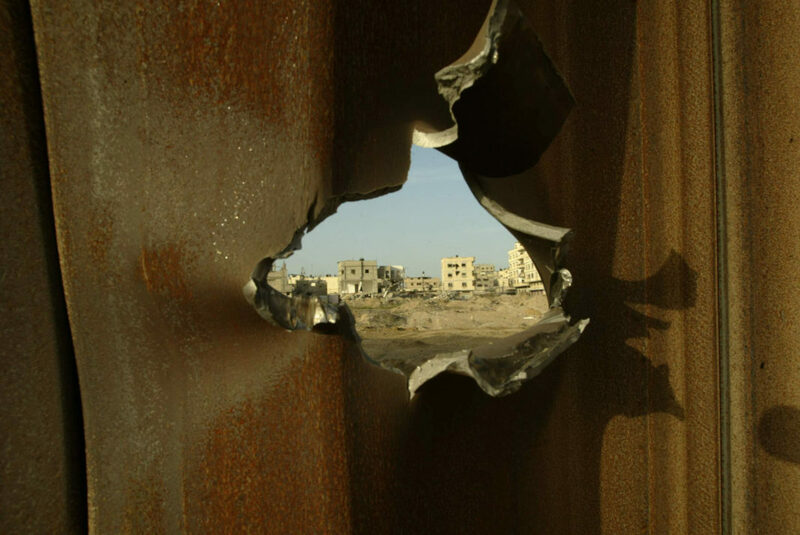 Historically, a case can be made that human-made walls (or fences) have been necessary to mark boundaries and prevent/defend against invasions. That was the purpose behind the most noteworthy walls in history be it the Great Wall of China, the walls of Jericho and Troy, Hadrian’s Wall, and most walls built around city-states like in what is today Italy. Today there are modern examples of walls/fences like the one being constructed to separate Gaza and the West Bank from Israel to forestall suicide attacks (or as critics claim, to lay claim to portions of land that is supposed to go to a Palestinian state) or the one in Hungary to spell the inflow of migrants from Southern Europe, Africa, and the Middle East. There have also been walls to keep people in boundaries like the ghettoes to house Jews from the Middle Ages up until the nineteenth century in parts of Europe or, more recently, the one separating East Berlin from the West from 1963 to 1989 (a development President Kennedy was reported to have said it was “a hell of a lot better than a war”). In our country, portions of a wall on the border with Mexico have been constructed over the last 12 years with President Trump wanting more funds (apparently he has not been skillful in the art of the deal to get the Mexicans to pay for the bill) to complete the project. It is noteworthy that the President, in his commitment to protecting our borders, has no ideas on how to protect illegal entries on the Canadian border or our coastlines. What history should tell the President, as he wants to commit billions of American dollars (as opposed to billions of Mexican Pesos) to a wall is that, over time, walls do not work. They may work to delineate boundaries and they may suffice in the short term for defense but look at what has happened to other walls, thanks to human ingenuity, in history. At the Great Wall of China, other groups like the Mongols and Manchus learned to besiege or just bypass the wall by going around it and invading China. 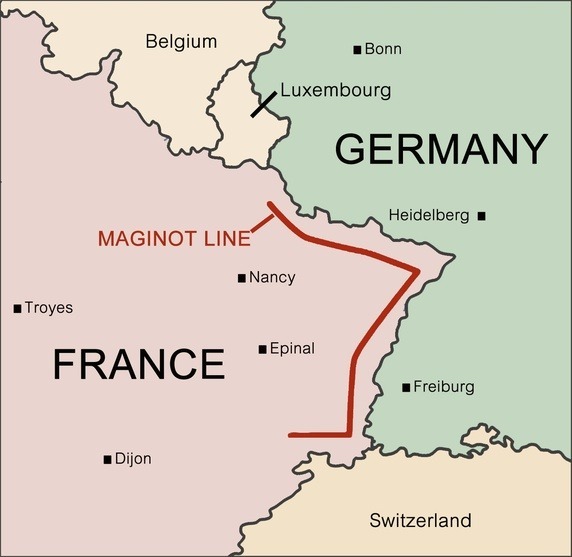 The Germans used the same approach in World War Two by just bypassing the preposterous Maginot Line and conquering France. The Greeks could not overcome the walls of Troy but they circumvented it by getting what history calls “The Trojan Horse” placed in the middle of the city filled with Greek soldiers who were able to unlock the gates and let the rest of the Greek assault force in. The walls of Jericho came “tumbling down” either as a result of the Hebrew trumpets or a fortuitous (for the Israelites) local earthquake. Hadrian’s Wall did not stop the local population from climbing over it. Roman armies did. When they left, the local populace had no difficulty going over the wall. Although the Berlin Wall did stop the exodus to West Germany, some still found a way to freedom despite that barrier and it was Soviet leader Gorbachev and a new generation of East German leaders who saw, after a series of bloodless moves to democratization in Eastern Europe in 1989, the writing on (no pun intended here) the wall and saw that it made no sense to maintain the obstacle dividing the city. The ingenuity and drive of people are able to create walls but it also the ingenuity and drive of people that overcome them. Eventually, people would learn to get around a wall on the Southern boundary with Mexico, either through tunneling or climbing. Take Gaza as a recent example to illustrate that point. Suicide attacks are down but tunneling is rampant and Israelis constantly have to patrol and destroy them. How long until this escalates to a point when conflict resumes. This is not to say that border security is not essential. It certainly is because there are no countries if there are no borders. There should be increased border checkpoints, border patrols, technologies such as aerial drones, and clear (and humane) rules on what to do with people that try to cross our boundaries illegally. That is more effective as well as financially feasible than a wall that people can climb over or tunnel under. Erecting walls on the Southern Border is not sound policy, especially when other practical, technologically effective, less costly, and sensible solutions are available. The free flow of ideas, peoples, and goods will be compromised. Our country will become increasingly rigid, nativist, isolationist, and backward in outlook. The country and the planet may become less environmentally safe. Racism, intolerance, and fear of the “other” may become more mainstream and accepted. Our allies will become, over time, embittered with and abandon us, making their own economic, military, and political arrangements among themselves. Our adversaries, many of whom Mr. Trump inexplicably admires, will laugh at us and declare victory in bringing down the United States as the last Superpower and a new age of regional tensions will emerge. Please get the word out to supporters of the President. Walls and barriers, in whatever form or for whatever purpose, have never proven to be a long-term answer and they never will be. Remember that along with its Great Wall, China fell from the zenith of its global position when it adopted an isolationist posture eerily similar in some ways to America First. Shhhhhhhh! I’m about to make a killing selling ladders, shovels, rope, kites, drones, balloons, and catapults, and you’re trickling down all over my business plan! A 2000 mile long wall is what racist people think border security looks like. What racist people don’t realize, because they don’t think things through, is that someday that wall, along with immigration policy, will be used to keep people in.